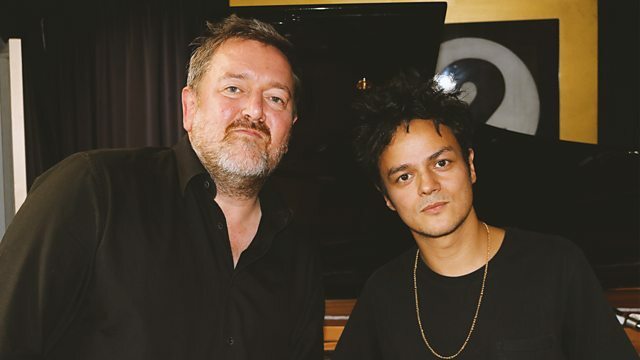 Elbow front man and BBC 6Music presenter Guy Garvey joins Jamie in the studio to talk about his musical heroes and their mutual love for jazz. Jamie has long been an admirer of his work and together they discuss Guy's early influences from growing up with six siblings with a myriad of tastes, to discovering the work of Chet Baker and 'totally ripping him off', in his words. Guy also introduces some of his favourite ever jazz tracks, including a Nina Simone classic, which has had a profound effect on him personally as well as a brilliant track from the great Louis Prima, who he admits is his Karaoke staple. Ahead of his upcoming 2018 arena tour with Elbow, Guy and Jamie end the interview by performing together at the Elton John piano, a beautiful version of John Grant's 'Glacier'. The Fabulous Fats Navarro Vol. 2. (Chet Baker Sings) It Could Happen To You.